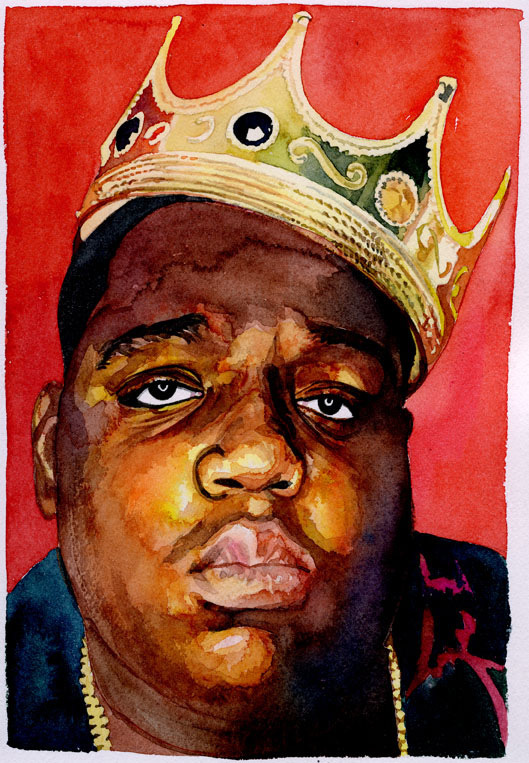 Biggie Smalls, aka The Notorious B.I.G., was an American rapper. He is consistently ranked as one of the greatest and most influential rappers of all time. On March 9, 1997, Biggie was killed by an unknown assailant in a drive-by shooting in Los Angeles. This piece was commissioned by Changes in Queens, NY.